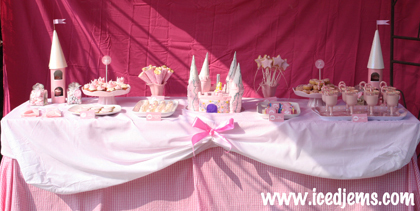 I had the absolute pleasure of doing a dessert table for a 6th Princess Birthday Party last week, and I had to share with you! 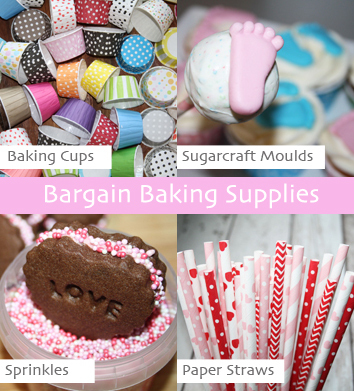 PS – The Free Printables are now available to download, click here to get them! 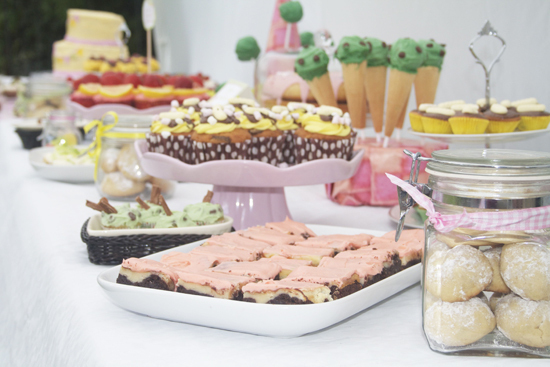 There was a huge range of miniature treats for the 10 girls, from donuts and cupcakes to popcorn and milkshakes! 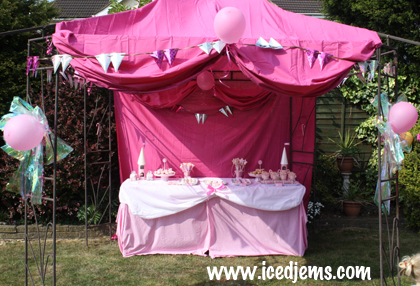 The sun was shining so we took advantage of the garden, decorating a gazebo with pink material to give an extra special princess feel. 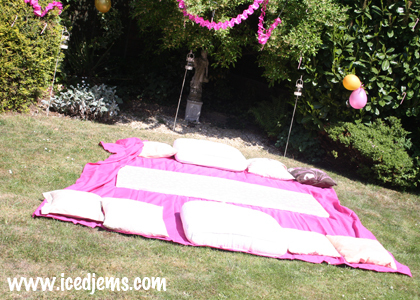 Another last minute idea to take advantage of the good weather (doesn’t happen that often in the UK), we thought the girls could dine picnic style! 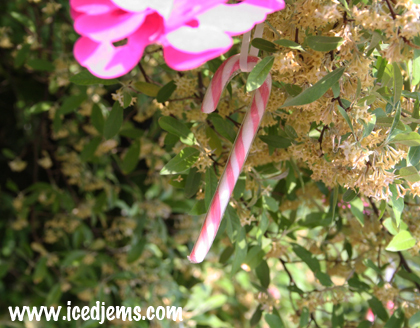 I even hid candy canes in all of the trees and bushes – the girls absolutely loved finding them all and getting them down. 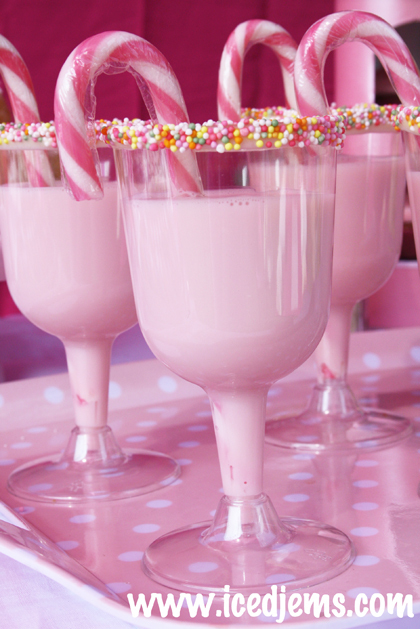 These were my absolute fave to make – strawberry milkshake in a white chocolate and sprinkle dipped glass! 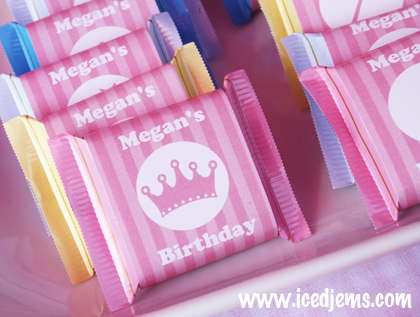 Mini Candy Bars – I designed all the printables, wrappers and graphics myself for the party. 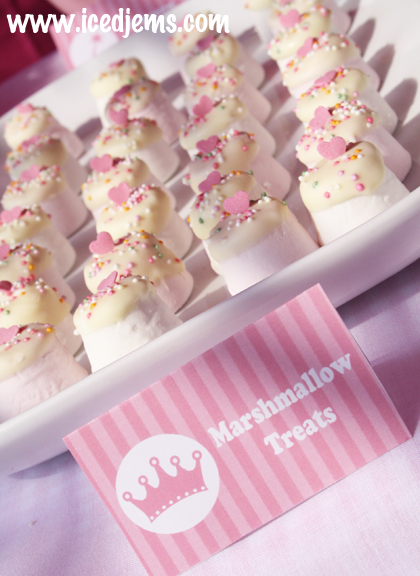 These went down great too – I’ve found that a great tip for any kids party is to make everything miniature. 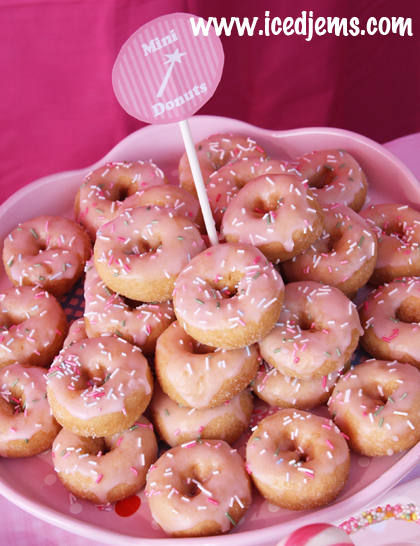 That way they can grab one of everything and still eat it without leaving half! 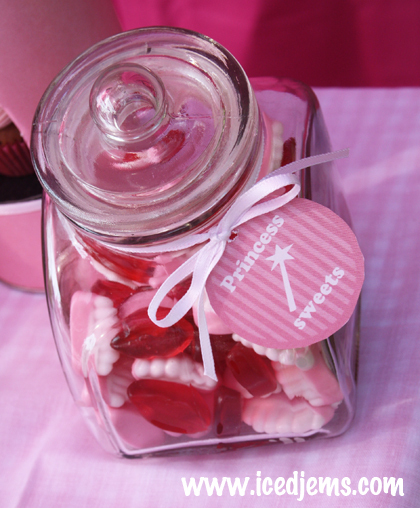 Another party favourite! I was genuinely in shock at how little was left over at the end – and also a little sad as I was hoping for a few leftovers! 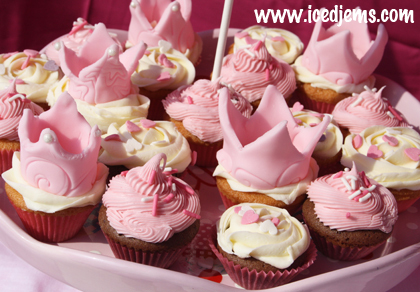 Following the rule of all things miniature – Princess Crown Cupcakes. 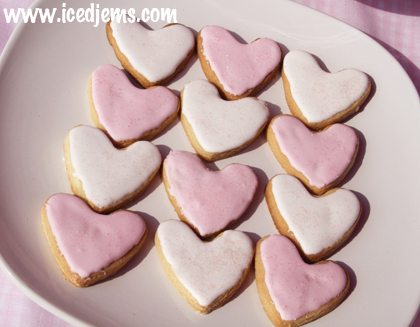 A few simple sugar cookies with edible glitter. 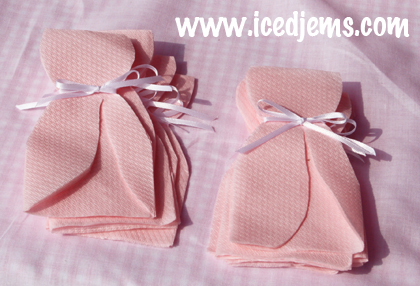 I couldn’t resist making sure the napkins were in theme – princess dress style! 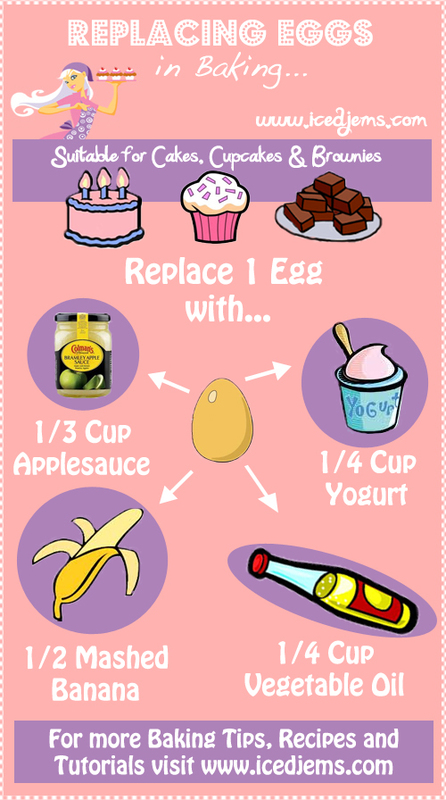 Its amazing what you can do with an old pringles tube! 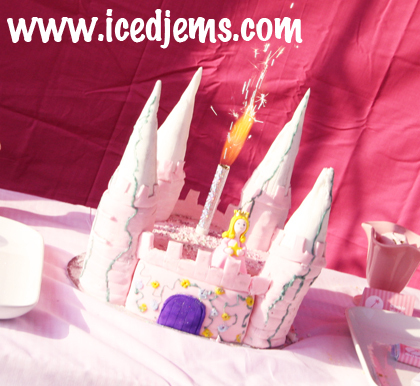 The Castle Cake! 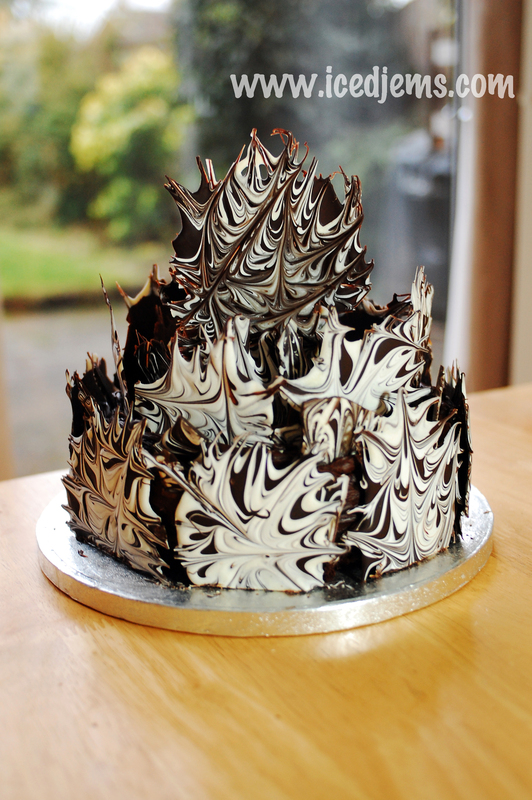 I’m not claiming credit for this one – this was made by the talented nan of the birthday girl who always makes the whole family such lovely cakes! 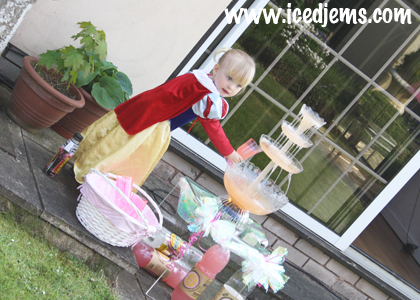 Pink lemonade via the cocktail fountain was the princess drink of choice. 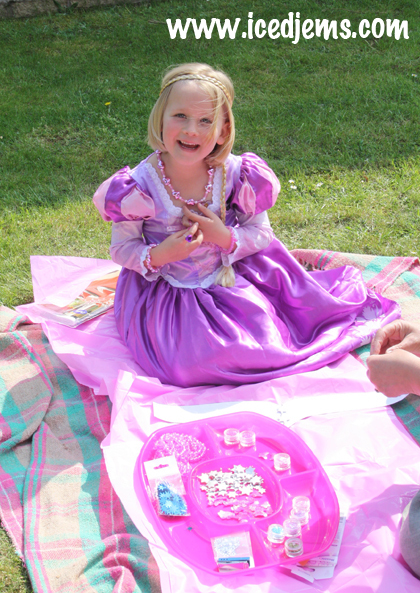 The birthday girl (in purple) with all of the treats! Ok, onto the activities! 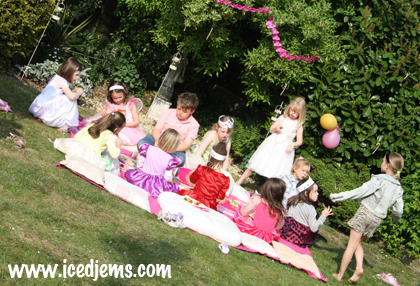 When the girls first arrived they made their own tiaras! 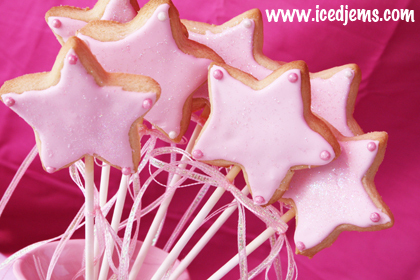 Then each princess had a sugar cookie dress to decorate! 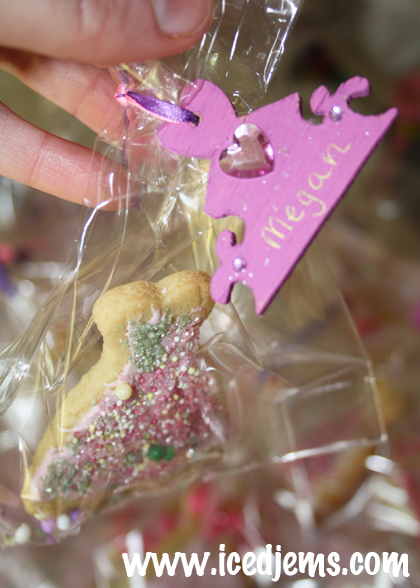 Once dry, the cookies were put into a bag with a personalised wooden tag for the girls to take home! 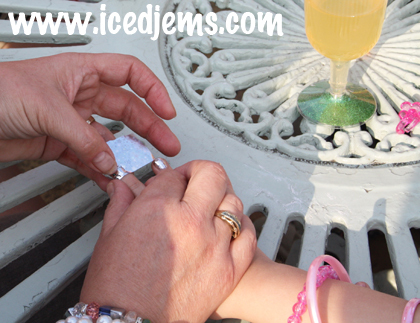 Finally the girls got their nails done with sparkly Nail Art Foils! 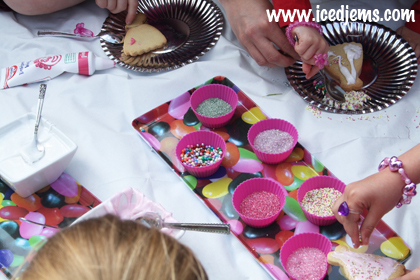 This is a great activity for a kids party! 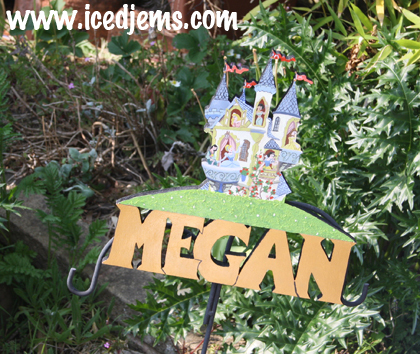 Apply the adhesive then the foils for an amazing effect! 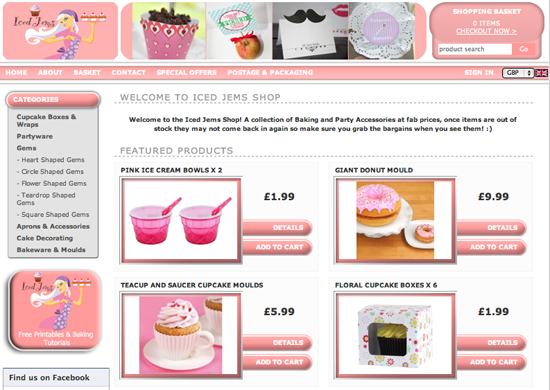 Get your foils here from Foils4Nails who offer 10 different Nail Foils and Free Rhinestones for just £4.99 + P&P! 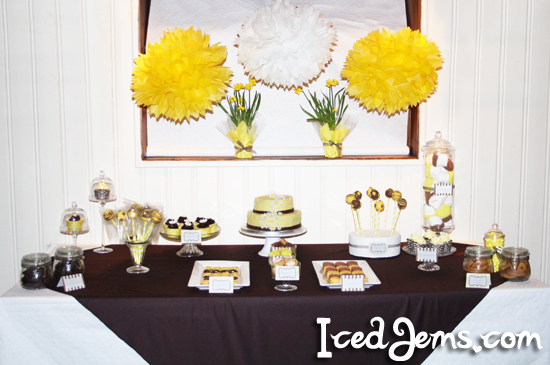 The party was a definite success! 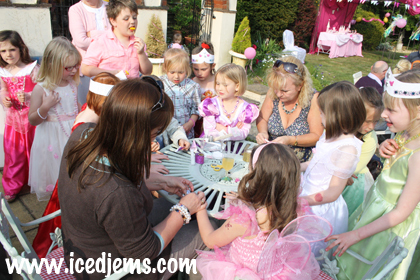 The girls loved it and got to take home cake, a cookie, sparkly nails and loads of other goodies in their party bags! 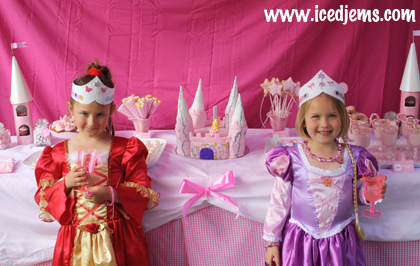 Iced Jems now offers Princess parties within the UK, so just send an email to jemma@icedjems.com for more details!